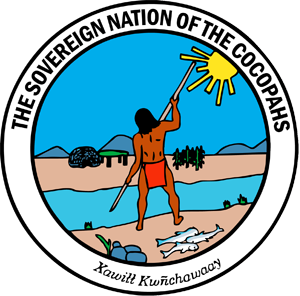 "The Cocopah Sovereignty is the foundation that preserves traditional cultural values and educational empowerment for a healthier way of life"
In 1964, the Cocopah Indian Tribe founded its first Constitution and formed a five-person Tribal Council. 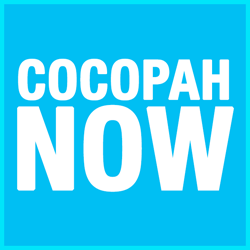 The leader of the Cocopah Tribe is called a chairwoman or chairman. 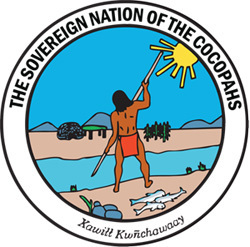 Currently, a chairwoman leads the tribal council, which also includes a vice-chairman and three council members. Requests are reviewed once a month and announced during Tribal Council meetings that take place the second Friday of each month. • Your request must be sent at least 45 days before your event, post marked no later than 30 days before your event. • In your letter include name, phone number, email address and mailing address or your organization. Failure to provide complete contact information may delay or disqualify your donation request. If your request is approved, you will receive a phone call notifying you. the Public Relations office at 627-2102.